Block heeled pump Whether you want a pair of everyday reliable ballerina flats, dress shoes, a casual wedge sandal or comfortable wear-to-work pumps and heels, Easy Spirit has a shoe in every size and width for every woman. Easy Spirit shoes are synonymous with comfort, style and functionality. Wear Easy Spirit shoes every day with your casual outfits. Their clogs team up perfectly with trendy jeans and t-shirts. Their athletic shoes will have you running all day with an extra spring in your step. The comfortable pumps and heeled sandals are designed to take your feet from day to evening without any discomfort. All of Easy Spirit shoes come in regular and wide widths for the most demanding feet, and here we carry a wide range of styles, sizes and widths to choose from. / Buy with confidence! 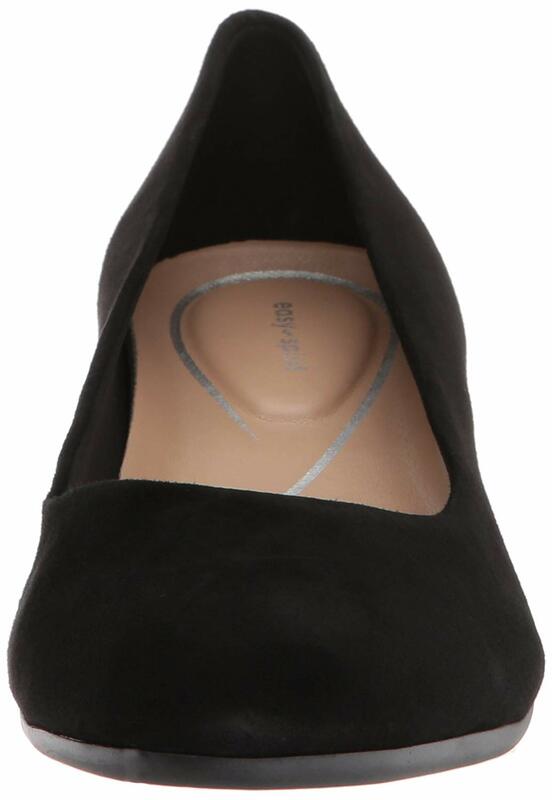 Easy Spirit Womens footwear would make a great addition to your shoe collection!